An SD (Secure Digital) card is a portable storage device that stores data even when it is not powered. SD cards are very small and fit in many portable devices such as cameras, video game consoles, and cell phones. They can also be used with both desktop and laptop computers if the user purchases an SD card adapter. While SDSC (SD Standard Capacity) cards store up to 4 GB, there are also SDHC (SD High Capacity) and SDXC (SD eXtended Capacity) versions that store up to 32 GB and 2 TB respectively. 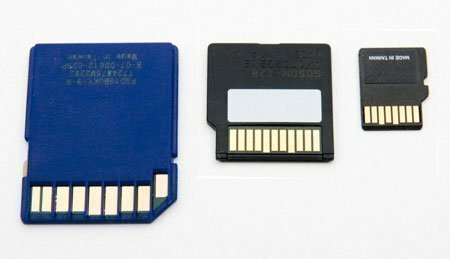 SD cards started as a remnant of the long retired floppy disk, but have now become a very popular and efficient means of storing data, especially for portable devices. They work like floppy disks, but also contain components of flash drives that allow them to store data based on electronic binary pathways. 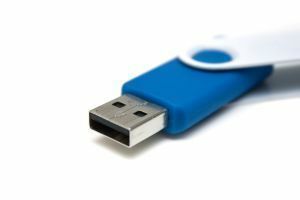 Like flash drives, SD cards are highly portable, store large amounts of data, and are able to connect to computers and portable devices via Plug-and-Play technology. Hundreds of product brands in thousands of product models use SD cards. SD cards are found in digital cameras, cell phones, smart phones, laptops, portable game consoles, non-portable game consoles, ebook readers, and many more devices. 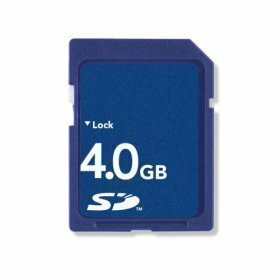 SD cards are often used because of their small size, ease of use, and large storage capacity, making them the industry standard in portable memory devices. Write protection or Digital Rights Management is a type of encryption found on some SD cards that prevent users from saving data to them. 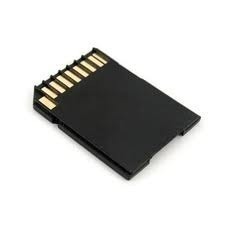 Music and film companies usually provide these SD cards when they release files to the public in order to prevent users from removing the files or using the SD card for their own purposes. Other SD cards include write protection as an optional feature, giving users the option of removing the write protection. In these versions, there is usually a sliding tab on the SD card that can be moved to allow the user to write data to it. If this tab is not present, the SD card reader may provide the user with options for removing write protection. However, not all SD card readers are able to do this, meaning that the user will not be able to write new data to the SD card. 115 queries in 0.433 seconds.